Posted 18 March 2011 in Uncategorized. Below are scans of three OMAC pencil art photocopies in our holdings. I can’t recall this first piece ever having been printed, presented or mentioned anywhere before: It’s become a favorite of mine, and I dream that the original pencil art piece will be found, to be scanned for the OADA. Also, we have photocopies of Kirby’s OMAC presentation from 1973. There are quite few more scans of OMAC pencil art photocopies in our Gallery. Posted 11 March 2011 in Uncategorized. Also included in the exhibits for the Marvel Worldwide, Inc. et al v. Kirby et al legal proceedings is a scan of an unused page of Kirby Fantastic Four art. This looks like an unused page from “The Mad Menace of the Macabre Mole Man!” – first published in Marvel Comics’ October 1964 Fantastic Four 31 – where Sue Storm finds out her father has escaped from jail and visits him without revealing she is his daughter. 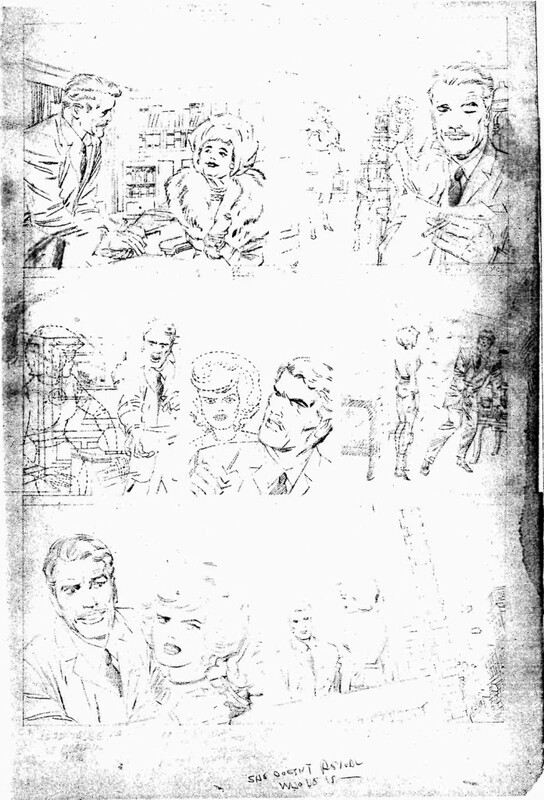 Two more unused Hulk pencil pages from 1962 surface! Posted 9 March 2011 in Uncategorized. Up till now, three pages were known, which were presented in TwoMorrows’ Fall 2004 The Jack Kirby Collector 41. John Morrow’s TJKC 41 article stated that the pages were “in Larry Lieber’s closet all these years.” Interestingly, all five Hulk pages are included in a filing that includes Larry Lieber’s testimony for the Marvel Worldwide, Inc. et al v. Kirby et al legal proceedings. “… Jack Kirby came out of Stan’s office from — and from the direction of Stan’s office. He may, probably, he had come out of Stan’s office, and he seemed upset. And he took the drawings, he had these drawings, he took them and he tore them in half and he threw them in a trash can, a large trash can. “And I, since I was such a big fan of his, I knew that at the end of the day, they would be discarded, you know, and would be trash. And I — I saw it as an opportunity to have some of his originals to keep, to look at and study, and so I took them out of the trash can. The two “new” pages appear to be numbered pages 8 & 9, leaving page 10 unaccounted for in the sequence. John Morrow wonders if it was a Hulk-only page that was used in a subsequently published story. Hopefully, we’ll be able to scan these pages for our Original Art Digital Archive. Thanks to John Morrow, the eagle eye of Glen David Gold, and the quick-thinking Larry Lieber!